Top Republican says Senate will repeal and replace Obamacare "by the end of July"
Senate Majority Whip John Cornyn said Wednesday that the Senate will pass a plan to repeal and replace Obamacare before Congress leaves on its annual August recess. In an interview on KFYO's "The Chad Hasty Show," the Texas Republican was asked if the Senate could get a repeal and replace plan by the end of the year done. 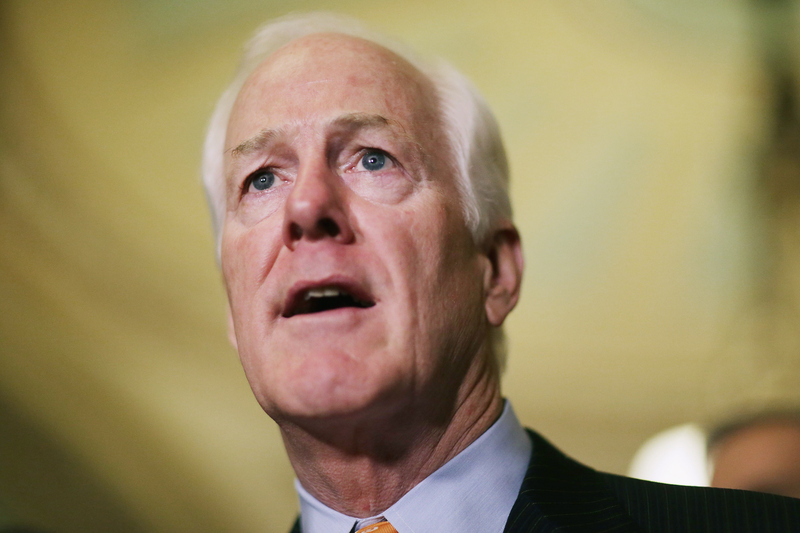 "Oh, absolutely," Cornyn said. "We'll get it done by the end of July at the latest." Cornyn said he suspects the upper chamber will resolve the health care issue "in the next few weeks" and that lawmakers have "no choice" but to tackle it since, he said, "Obamacare is in meltdown." Iowa's GOP senators, meanwhile, lowered expectations in remarks this week, arguing that a full repeal of President Obama's signature health care law is unlikely and a final bicameral agreement with the House is uncertain. Senate Majority Leader Mitch McConnell said last week that he doesn't know how Senate Republicans will secure a majority of votes to pass legislation to repeal and replace Obamacare. "I don't know how we get to 50 (votes) at the moment. But that's the goal. And exactly what the composition of that [bill] is I'm not going to speculate about because it serves no purpose," the Kentucky Republican told Reuters, adding that President Trump and Vice President Mike Pence could help whip votes again as they did for the House. Under the obscure budget reconciliation process, Republicans could pass a repeal bill with a majority, rather than a supermajority, since such bills are not subject to the filibuster. The Senate currently has 52 Republicans and 48 Democrats. McConnell declined to discuss what he'd like to see in the bill and wouldn't provide a timeline for producing a draft measure, the report said. The nonpartisan Congressional Budget Office released a cost estimate last week of the House-passed American Health Care Act (AHCA) Wednesday that projects that 23 million more people would be left without health insurance over the next decade if the measure became law. The House-passed legislation would also reduce federal deficits over the next 10 years by $119 billion, CBO said Wednesday, which is less than the $150 billion CBO projected in a score of an earlier version of the bill.